If you are reading through the website and if you have read ‘our place in the universe’ by now you kind of know where our place in the universe is! 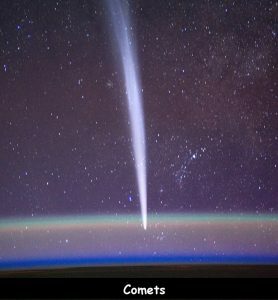 You will understand where our planet Earth and our solar system are in the universe. The solar system is located in the sun’s neighbourhood of stars that is in our Milky Way Galaxy. You will find that the milky way galaxy is in the Virgo Super Cluster. About 4.6 billion years ago, way after The Big Bang happened and started to create gases and stars, the solar system began to form. So 9 billion years after the beginning of time our solar system was created. Several planets and a number of objects that orbit around our sun make up the solar system. To be precise there are 8 planets in the solar system that orbit the sun. 160 moons orbit the 8 planets and 5 dwarf planets. The 5 dwarf planets are called Ceres, Haumea, Makemake, Eris and Pluto. Yes, Pluto! Pluto was once classed as a planet, but is now classed as a dwarf planet. First 4 planets that are closest to the sun are Terrestrial Planets, meaning that they are rocky in formation. This includes Earth. It also means that the planets have or may have had some form of water on their surface. Second 4 planets that are furthest from the sun are Jovian Planets, meaning that they are large gas planets with little to no real surface. These planets are made up of huge balls of different types of gases. These 4 outer planets are much larger than the 4 inner planets. Also, it’s not commonly known that all of these planets all have ‘Rings’ around them. But if you look closely into it, they all do. It’s not just Saturn that has rings around them ye know, although they are the most famous and the most visible. All the planets in the solar system as you now know orbit around the sun. All the planets spin on their axis around the sun at different times and at different speeds. These planets have been spinning together in this system ever since the sun formed. A series of violent events that crashed rocky materials and gases together over billions of years brought us to where we are today. We now know a lot about the solar system and the planets that make it up. To learn more about the planets in the solar system go to the planets section. # 1. 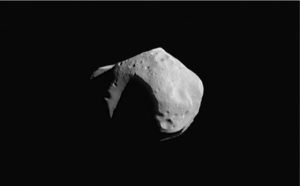 The main asteroid belt is an ‘Asteroid Belt’ that orbits between planets Mars and Jupiter. # 2. The Sun makes up to 99.86% of all of the mass in the solar system. # 3. Before space exploration, humans didn’t know that the solar system existed. Humans then thought that the Earth was at the center of the universe. Q. What percentage of the solar system does the sun take up? Q. How many dwarf planets are there in the solar system? Q. How many moons are there in the solar system that orbit planets or dwarf planets? Q. What are the first 4 inner planets in the solar system classed as? Q. 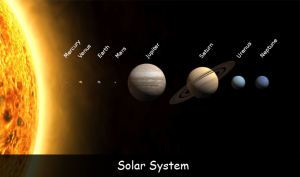 What are the second 4 outer planets in the solar system classed as? Key Vocabulary Galaxy. Gases. Stars. Sun. Earth. Rings.